Massachusetts crime lab scandal worsens: Dookhan and Farak. How many people are in jail based on faked data? Earlier this year, I wrote about a sprawling prosecutorial scandal in Orange County, California, involving a long-standing program of secret jailhouse snitches that had tainted prosecutions in cases almost too numerous to count. This story has only continued to worsen. One of the prosecutors at the heart of the case simply packed up and left California last month, and just this week the news emerged that Orange County District Attorney Tony Rackauckas had been told that his office might have a jailhouse informant problem all the way back to 1999, a full 16 years before the current allegations about the misuse of jailhouse snitches had surfaced. The problem with a scandal on this order of magnitude isn’t just that it reflects a fundamental flaw in the justice system. The problem is that, as a purely practical matter, there is simply no easy way to correct it. In Orange County, some convictions have been tossed, others have been stalled, and a call for a Justice Department investigation has gone unheeded. Even years after cases like this come to light, undoing or redoing wrongful convictions proves almost impossible to achieve, especially when the state believes someone else should be cleaning up the mess. Perhaps the most dramatic example of a massive scandal that cannot seem to be reversed involves Annie Dookhan, a chemist who worked at a Massachusetts state lab drug analysis unit. Dookhan was sentenced in 2013 to at least three years in prison, after pleading guilty in 2012 to having falsified thousands of drug tests. Among her extracurricular crime lab activities, Dookhan failed to properly test drug samples before declaring them positive, mixed up samples to create positive tests, forged signatures, and lied about her own credentials. 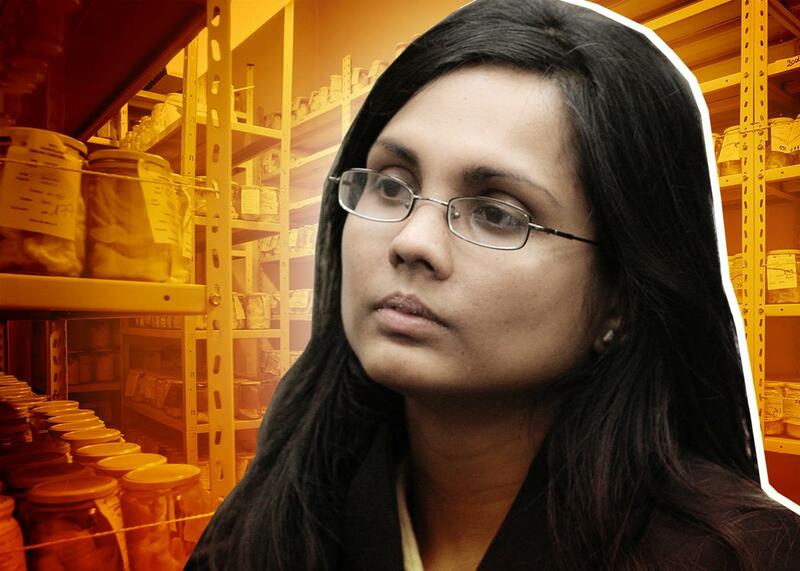 Over her nine-year career, Dookhan tested about 60,000 samples involved in roughly 34,000 criminal cases. Three years later, the state of Massachusetts still can’t figure out how to repair the damage she wrought almost single-handedly. By the close of 2014, despite the fact that there were between 20,000-40,000 so-called “Dookhan defendants” (depending on whether you accept the state’s numbers or the American Civil Liberties Union’s), fewer than 1,200 had filed for postconviction relief. * Many of them were sentenced under plea agreements rather than at trial, and they feared that a re-examination of their cases could potentially lead to even longer sentences. So the ACLU of Massachusetts stepped in last spring, filing Bridgeman v. DA of Suffolk County to ensure that no defendants would face harsher penalties if they challenged their Dookhan evidence. In May, the Supreme Judicial Court of Massachusetts unanimously ordered that each of the defendants whose guilty pleas were based on Dookhan’s evidence could seek new trials without facing added charges or stiffer sentences. The state court stopped short of ordering each of the convictions vacated—the remedy sought by the ACLU. But the court effectively capped any defendant’s sentence to what it would have been under the original plea agreement. The state argues that most of those Dookhan defendants were surely guilty of something, and the cost of vacating all of their convictions would be chaos. There has already been one reported homicide attributed to a freed Dookhan defendant. In 2012, Donta Hood had his conviction thrown out because Dookhan had tested his drug evidence and testified against him at trial. He was released from prison two years early and charged with murder a year later. Of course, there are also an awful lot of folks whose convictions were predicated on a massive fraud. Many of them don’t even know this, and most cannot afford to hire attorneys to reopen their cases. Even if they have already served their sentences, the collateral impact of having drug convictions infects every part of their lives. Who is responsible for fixing that? Ryan learned that one of his clients had been convicted with evidence Farak had produced on a day she was using drugs. But as Ryan has pointed out, relief comes case by case, and many who have been convicted using tainted evidence never even know they are eligible for relief. Despite the ongoing scandal, the district attorneys take the position that it is not their responsibility to help identify Dookhan or Farak defendants. They lack the budgets or resources to do so, and—as they have argued in oral argument in the Bridgeman case—prosecutors have no special duty to notify defendants that their convictions might have been obtained with evidence that was falsified by government employees. So the question remains: When a crime lab screws up, whose responsibility is it to clean up the mess? Everyone knows that if you make a mess, you have to pay for it or clean it up. Companies know this, drivers know this—even kids know it. What most people don’t realize is that even in cases where prosecutors’ misconduct or negligence results in gross violations of due process, colossal disruptions of the criminal justice system, or grave threats to public safety, prosecutors remain essentially immune from any real consequences. When the people who wield the most power in the criminal justice system are also the least accountable, constitutional crises like those unfolding in Orange County and Massachusetts are almost inevitable. Correction, Oct. 30, 2015: Due to a production error, this article originally misidentified the American Civil Liberties Union as the American Civil Liberty Union. This article also originally incorrectly misstated that Sonja Farak’s medical records were hidden from defense counsel. Other documents were kept from counsel leading to discovery of the medical records.